Conquer the waves and see the Ligurian coast as the sailors of old would have seen it! At many of the Ligurian ports you’ll find sailboat and yacht rentals, crews for your adventure at sea, and sailing schools to prepare you. Take this quote up the letter and go crazy for a boat ride in Liguria. You will sail in a strong wind in autumn, winter, spring-like! Conditions that delight browsers. However, the navigation is also significant in summer with a refreshing breeze. Have you always wanted to give sailing a try, but lack the necessary equipment? Then visit one of the countless sailing schools that are dotted all over the Ligurian coast. 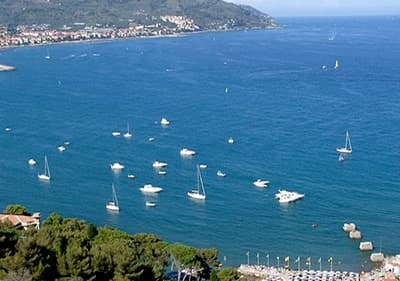 Whether you are in Imperia, Finale Ligure, Diano Marina, Andora or Alassio – the sailing schools are waiting you. The offers range from beginner courses for children, teenagers and adults to courses for more experienced sailors that want to work on some specialist skills. The timing of the courses varies. Some schools offer group courses Monday to Friday, others offer weekend courses. You can also book flexible private lessons. You will not fail to find just the right offer for your requirements. In the summer, the Ligurian coast is the perfect place for charter yacht aficionados. 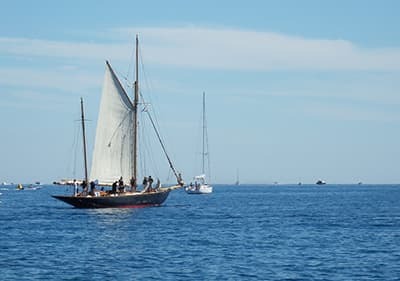 With little wind and brilliant sunshine, there is nothing better than a nice sail along the coast, offering fantastic views of the steep cliffs rising out of the sea and the awe-inspiring backdrop. weekend: 3 h saturday/2 h sunday 180  further 130  min. 3 persons. We offer charter programs of outstanding quality: modern, safe and reliable boats; full assistance before and after check-in; and we will help you plan your sailing holidays, providing constant support during your navigation. If you require a skipper we can provide experienced professionals (Italian/English spoken), that will help you to enjoy your holiday and relax. We hold ourselves responsible for maintaining very high standards of care and the attention to detail, which is necessary to turn a good charter trip into the very best vacation of your life! We are ideally located within easy reach of the French Riviera (about 30 nm) and Corsica (90 nm). And the warm climate of the Riviera makes it possible to enjoy sailing all year around! Prices start at 600 for a full week-end of sailing on a 37 feet sloop (8 pass.) without skipper.